Six out of 10 older workers have experienced or witnessed age discrimination at work, says a 2018 report by the U.S. Equal Employment Opportunity Commission (EEOC). Ageism can impact professionals long before they start to approach retirement. 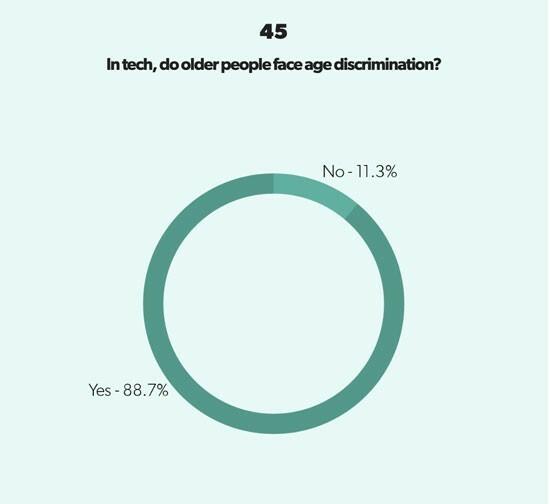 In a recent survey of startup founders, 26.7% said they believe that age discrimination in tech starts when workers are between 36 and 40. Another 13.1% said it can start even earlier than that. And stereotypes about older workers — like the idea that they can’t keep pace or lack digital savvy — can have serious consequences. In the United States, 56% of workers over 50 leave their jobs involuntarily. Recent research from the Stanford Graduate School of Business finds that 40% of U.S. retirees would return to work at their old job if it had the same hours and wages. And forced retirement can have an adverse impact on people, having been linked to declining mental and physical health. With recent high-profile ageism lawsuits shedding more light on the issue, people are taking notice. But reducing ageism in the hiring process and workplace isn’t just a useful strategy to avoid getting sued. Multigenerational workforces bring a wider range of perspectives to the table, and hiring older employees may be the key to solving skills shortages. In the United Kingdom, for example, companies like Barclays, Boots, and Aviva have set targets for hiring older workers, due in part to the skills gap that Brexit is expected to bring. Here are five steps that can make your hiring process and culture more welcoming to candidates of all ages. You probably already know that using certain words and phrases in your job descriptions can make women less likely to apply. But it’s not just job posts laden with “rock star” and “ninja” that can put people off. 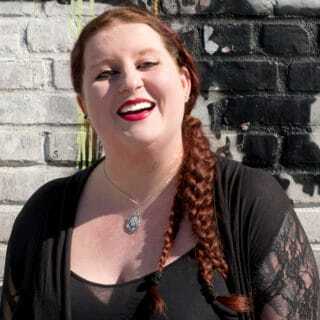 Heather Tinsley-Fix, senior advisor of financial resilience programming at AARP, says phrases like “seeking digital natives” or “join our young, dynamic team” can be inadvertently ageist. Words like “energetic,” “active,” and “athletic” can similarly imply youthfulness, signaling to older workers that they’re not right for the role — even if that wasn’t the intention. Before you hit post on your job ads, it’s always a good idea to give them a final glance to ensure that the listed requirements are truly needed to perform the role and that a troublesome word hasn’t slipped through. Augmented writing platforms like Textio can also help you keep bias out of your job descriptions by suggesting neutral alternatives. There’s a common joke among recent grads that entry-level jobs always ask for a lot of experience. But absurd experience requirements can go both ways, with older workers often being told they’re “overqualified” — if they hear back at all. When application forms and resumes include information about a candidate’s graduation year or employment start and end dates, it isn’t hard for a reader to suss out the candidate’s age. 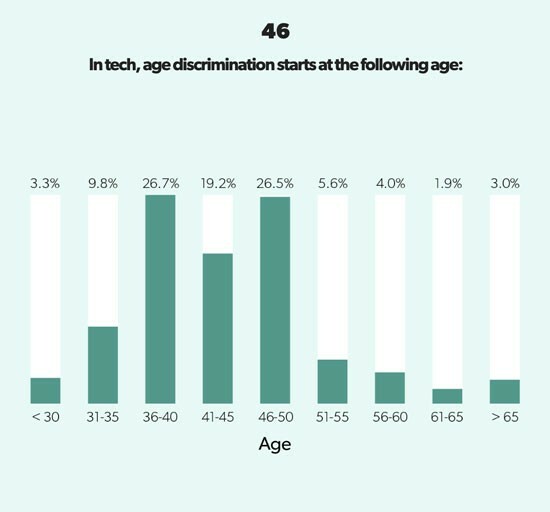 This can lead to unconscious bias in which, without realizing they’re doing it, recruiters link a candidate’s age to their suitability for the role. Everyone has unconscious bias and it can be tough to stamp out. A simple fix is to “blind” resumes by removing dates to blur a candidate’s age before reviewing them. That way, you know you’re focusing on skills and capability and not getting distracted by the math. Of course, that doesn’t work when the person is sitting right in front of you. That’s why skills tests and job auditions can be so valuable during the interview stage. Ask every candidate to perform a task that’s key to the job and then track and measure the results. That will give you an objective picture of which applicant is right for the job. A fun, vibrant culture can really speak to candidates. But make sure it doesn’t say the wrong thing. In a quest to stand out from the competition, some companies forget that boisterous socializing events and adventurous team-building activities aren’t for everyone. For example, if your idea of a perfect team-building exercise is a ropes course, don’t reconsider it because of the older members of your team. Remember the video footage of U.S. President George H.W. Bush skydiving on his 90th birthday? Reconsider it instead because some of your team may have vertigo or acrophobia — both of which affect people of all ages and particularly target women. Whatever activities you select to build your culture, make it clear that it’s voluntary. Forced fun is no fun at all, and employees from all age groups may have personal reasons to opt out of certain activities. While younger employees are sometimes favored for being “digital natives,” it’s important to remember that digital skills can rapidly become outdated. That’s why training and continuous learning opportunities are essential for workers across all generations — and older employees are eager to learn. More than eight in 10 employees ages 45 to 64 say learning opportunities are critical to their view of an ideal job. Retraining and upskilling older employees can help companies avoid the costs of bringing in new people and retain institutional knowledge while keeping the skill base up to date. What’s more, older employees may be using more technology than people assume and can be quick to adopt new tools. A 2016 survey found that workers aged 55+ use an average of five forms of tech a week — more than the 18-to-34 group — and only 24% said they find it stressful to use new tech. Not only can they adapt to new tools, they may be better equipped to handle the old-school tech (like fax machines) still used in some industries. Offering internal training or subsidized access to online courses can be valuable to every employee — and a great retention and engagement tool. Make it easy for employees of all generations and at all levels in your company to access learning resources without stigma. And if your goal is to recruit more older candidates, consider following in CVS Health’s footsteps. The company’s “Talent Is Ageless” program helps older candidates find new opportunities, and it partners with local colleges to develop training modules. In recent years, many companies have introduced perks — including generous parental leave, inclusive fertility benefits, and breast milk shipping — aimed at helping employees who are starting or growing their families. These benefits, while life-changing for some, are generally more relevant to younger employees. If you’re looking to attract more older workers, consider creating a benefits package that has something for everyone. AARP, a nonprofit that advocates for older individuals, recommends perks like a savings plan, shuttle service, and flexible work options. Comprehensive health benefits are also a win. The best thing about these perks is that they’re not exclusive to older workers. Employees of any age can benefit from a little financial planning support; flexible work options are hugely popular with younger workers; and more commuting options are ideal for those who don’t own a car or choose not to drive. Highlight age-inclusive benefits on your website, in your job descriptions, and in your interviews to show candidates of every age what you’ve got to offer. To take advantage of all the benefits a multigenerational workplace can bring, keep an eye out for ageist attitudes wherever they appear and take steps to curb them. Because while some people can’t wait to retire and get on with their postwork life, many are eager to keep contributing their talents and experience to the workforce — and with skills in short supply, that’s a very good thing.